The US should completely restore relations with Cuba. 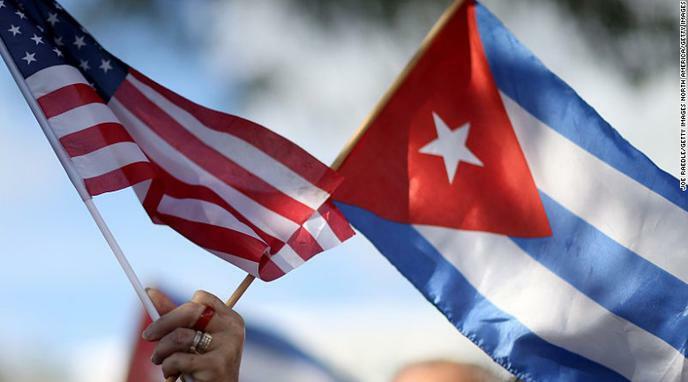 Restoring relations with Cuba would benefit the U.S. economically. Normalizing relations will benefit the people of Cuba. Improved diplomatic relations between Cuba and the US could set an example for other countries locked in long-standing bilateral conflict. Establishing stronger diplomatic ties with Cuba could incentivize the Cuban government to adopt more liberal policies. The US embargo of Cuba has failed to achieve its goals. Cuba is an ally of North Korea and Iran. A relationship with Cuba will open up the U.S. to possible terrorist threat. Restoring ties would upset interest groups and allies that are important to the US.